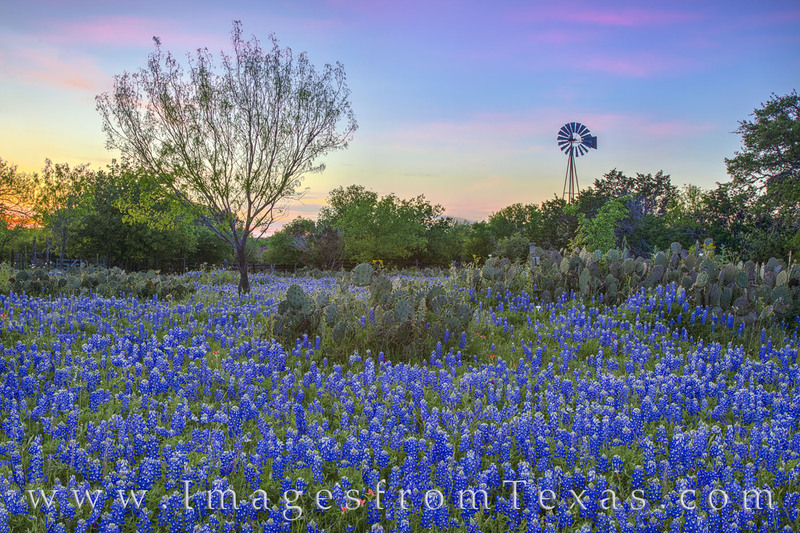 The sky turned soft pastel colors of pink and blue and orange in this sunset photograph of bluebonnets and a windmill. A friend of mine and I started our day’s adventure here in the afternoon, drove over 4 hours searching for bluebonnets, and ended up back here to shoot the sunset. This bluebonnet picture was taken near Johnson City in Blanco County. Photo © copyright by Rob Greebon.